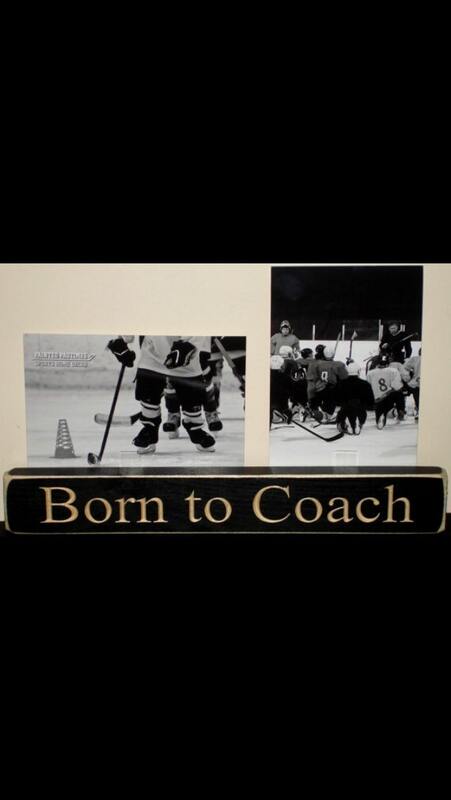 "Born to Coach" Photo/Sign - Perfect for gift giving to the coach! 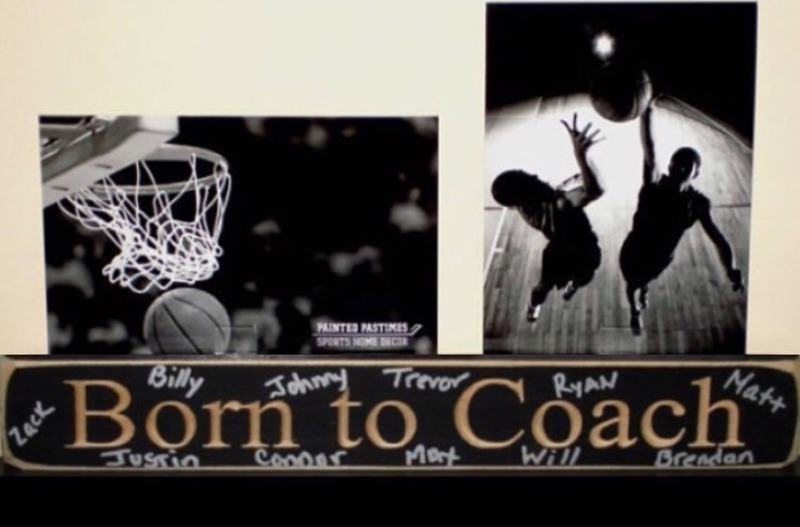 You can replace our photos with your team photos and have the team sign as well for that personalized touch. 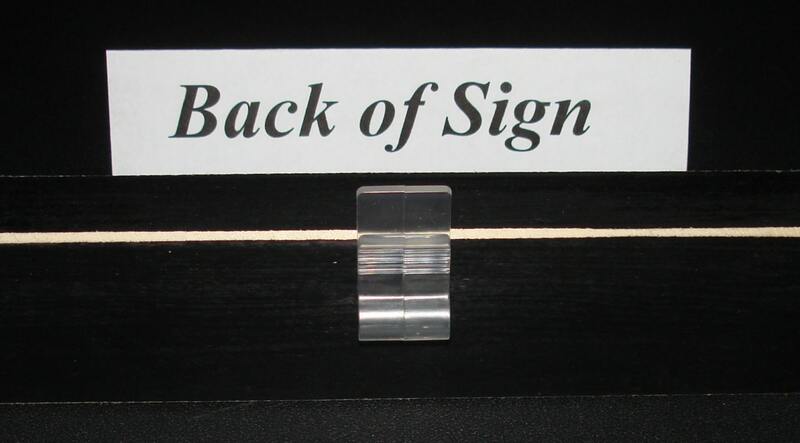 FREE marker included for signing! Wouldn't the coach just love this? You can add names to the top area too. Shown with hockey photos, but this would be a great gift for any coach. Check out our other choices for this same item, but shown with baseball, lacrosse, basketball, football and soccer photos.